These Opera Guides are ideal com-panions to the opera. 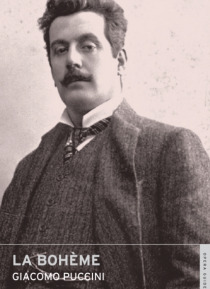 They provide stimulating introductory articles together with the complete text of each opera in English and the original.Italian opera expert William Ashbrook asks why this love story attracted new audiences to the opera house when it was first performed, and what gives this 'tragedy of fragile sentiment' such an enduring appeal. Neither subje… ct nor score is conventional, yet the sound picture is bound together with a quickness and lightness of touch that the young composer learnt from the eighty-year-old Verdi, whose Falstaff was premiered while La boheme was being conceived. Joanna Richardson surveys the actual Bohemians who inspired, or at least unwittingly supplied the raw material for, Murger's book on which the story is based. Edward Greenfield and Nicholas John examine the subtleties of this best-loved of operas and the merits of a libretto which took Italy's best librettists over three years to finish.